The Hotel Stephan offers tasteful, traditionally furnished en suite rooms with free wireless internet access. Enjoy the comprehensive breakfast buffet in the morning, either in the breakfast room, or during warmer weather, on the terrace. 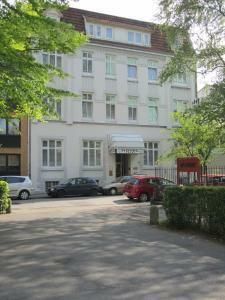 The hotel is the ideal base for all kinds of activities and sightseeing in this Hanseatic city. From the nearby Hamburg-Altona railway station (with ICE connections), services take you to the exhibition grounds, the musical theatres, the harbour and the central shopping streets.